I’ve been wondering about the term “kangaroo court.” Can you tell me where this term originated and why we use it? 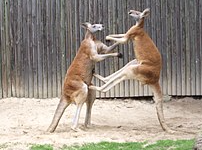 Your answer is just a hop, skip, and a bop away (be careful, male kangaroos do love to box). The term kangaroo court is often erroneously believed to have its origin from Australia’s courts while it was a penal colony. However, the first published instance of the term is from an American source in the year 1853. Some sources suggest that it may have been popularized during the California Gold Rush of 1849, along with mustang court, as a description of the hastily carried-out proceedings used to deal with the issue of claim jumping miners. Ostensibly the term comes from the notion of justice proceeding "by leaps," like a kangaroo—in other words, "jumping over" (intentionally ignoring) evidence that would be in favour of the defendant. 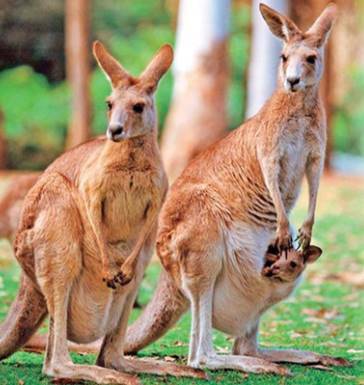 Another possibility is that the phrase could refer to the pouch of a kangaroo, meaning the court is in someone’s pocket. The phrase is popular in the UK, US, Australia, and New Zealand and is still in common use.